Fisker Automotive’s new owner is sorting through its assets to determine a new business plan. Chinese auto supplier Wanxiang, which funded Fisker out of bankruptcy a few months ago, loves the product but isn’t sure about the name. Fisker president Roger Brown described the cars as “rock stars,” but isn’t sure if the company will keep the Fisker Automotive name. The Fisker Karma plug-in hybrid will resurrect by the middle of next year. Soon after the Karma returns, Fisker is likely to launch the Surf, a $100,000 version that looks like a station wagon; and the Atlantic, smaller sedan that will go for about $50,000. The Surf will be coming out in 2016 and the Atlantic should be released in 2017. Fisker only has 25 employees left out of its original 150. ClipperCreek co-founder and former president Dave Packard has left his electric vehicle charger company and has been hired to run competitor ChargePoint’s utilities business development. Packard was part of bringing ClipperCreek to life in 2006 and was part of the EV industry in its early days. Packard joined the EV market in the early 1990s as VP of Sales at EPTI, a start-up, rapid battery charging company. Earlier this month, Florida Power & Light Co. (FPL) accepted the US Environmental Agency’s Clean Air Excellence Award for 2014; that award honors innovative programs that benefit communities, the environment, and the economy. The EPA rec­og­nized FPL’s deploy­ment of fuel-efficient vehi­cle tech­nol­ogy. NAFA Pres­i­dent and FPL Fleet Ser­vices Man­ager Claude Mas­ters, CAFM, and In-Home Tech­nolo­gies and Elec­tric Vehi­cles Direc­tor Brian Han­ra­han accepted the award on FPL’s behalf dur­ing the cer­e­monies held in Wash­ing­ton, D.C. The Federal Trade Commission (FTC) has tipped its hat toward Tesla Motors in the corporate stores vs. franchised dealer stores legislative battle. In its “Competition Matters” blog, FTC said that it supports the Tesla direct sales approach, comparing it to past technological advances in consumer-business relations. A panel of top Canadian automotive journalists selected the Accord Hybrid from among five other category winners as the winner of its 2014 Canadian Green Car Award; they think that its the vehicle that best combines environmental benefits and mass-market appeal. The US Dept. of Energy’s Clean Cities is proud to announce the expansion of the Plug-in Electric Vehicle Readiness Scorecard, a key tool for helping communities evaluate their PEV readiness efforts. The PEV Readiness Scorecard is a detailed, interactive online assessment tool that collects information about a community’s PEV readiness, provides feedback on its progress, and offers guidance for improvement. Ford has launched the Ford Fleet Purchase Planner™ to help businesses identify the lowest cost and emission option when revamping their company fleet, while still meeting business goals. Developed by Ford researchers, the analytical tool factors in employees’ individual driving habits, terrain traveled, and environmental impact, to produce the optimal solution. Classic Chevrolet in Grapevine, Texas, (the largest Chevrolet dealership in the US), has invested a million dollars in its own compressed natural gas fueling station. Chevrolet offers a heavy-duty pickup that operates on both gasoline and natural gas; and this fall, it will offer a bi-fuel version of the Impala. Los Angeles, Paris, and Tokyo are expected by Navigant Research to be the largest markets for selling light duty electric vehicles. The research firm thinks that the US will be largest market over the next 10 years with its EV sales exceeding 514,000 in 2023. Recargo, Inc., is celebrating the return of its research managing director, Norman Haijar, who just finished a record-braking 12,000-plus mile journey around the US while driving a Tesla Model S. Haijar was able to drive around the four corners of the US without paying anything in fuel costs. Take a look at this map. Going to ACT Expo 2014 next week? I am! If you’re passionate about alternative fuel vehicles, there are limitations to how many events you can attend each year. ACT Expo is one of them, and it’s taking place next week in Long Beach, Calif. I will be attending and am looking forward to meeting colleagues in the industry. It’s designed around fleets integrating clean transportation into their operations. You’ll see several US Dept. of Energy’s Clean Cities coordinators at the conference, along with association executives, and representative from OEMs, infrastructure suppliers, and government agencies. More than 3,500 people are expected to show up this year. In the past, ACT Expo was dominated by natural gas vehicles, but that’s expanding for the first time this year through alliances with a few organizations. Several events will be co-located with ACT Expo 2014, including: propane autogas summit “Lead the Way,” which is being presented by Propane Education & Research Council; California Hydrogen Business Council will be holding its spring summit; “Women in Alternative Clean Transportation Summit” has been organized by ACT Expo management firm Gladstein, Neandross & Associates; NGV Global will hold its conference in tandem with ACT Expo; “Alternative Fuel Toolkit for Local Governments, Fleet Managers, and Employers Workshop” is being organized by South Coast Air Quality Management District. 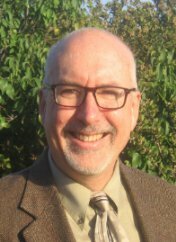 Electric Drive Transportation Association, Advanced Biofuels USA, California Fuel Cell Partnership, National Biodiesel Board, and NGV America are among the conference’s endorsing organizations. The ride and drive is always worth setting aside time for; it might be the only chance you get to drive around a hybrid medium duty truck or an electric delivery van. A full list of alt-fuel passenger cars are also on hand to test out. More than 70 alternative fuel vehicles will be featured in this year’s ride and drive. Though ACT Expo is certainly not all about light- and medium-duty vehicles. 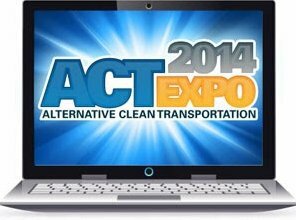 The American Trucking Associations has worked with ACT Expo organizers. “ACT Expo is a tremendous opportunity to learn more about the economic and environmental benefits of using alternative fuels and heavy-duty trucking efficiency technologies,” said ATA President and CEO Bill Graves. Vehicles featured during the ride and drive include: Peterbilt 384 LNG tractor, Freightliner Cascadia 113 CNG daycab tractor, Honda Civic Natural Gas, Volvo VNL 670 CNG tractor, Chevrolet Express 2500 gasoline/electric hybrid cargo van, (XL Hybrids) and Ford F-250 pickup ( provided by ROUSH CleanTech). Heavy-duty trucks will include the Freightliner Cascadia and Kenworth T680 CNG trucks. About 200 alternative fuel and clean transportation industry leaders will be speaking on panels. This year’s keynote speakers will be Southern California Edison President Ronald Litzinger and Volvo Trucks EVP Dennis Slagle; they’ll discuss the progress and momentum in today’s burgeoning advanced vehicle technology marketplace. California is the best place in the US to sell hybrids, plug-ins, and other alt-fuel vehicles, but not necessarily the best place to base your vehicle manufacturing operations. Toyota will be moving from the Los Angeles suburb of Torrance to the Dallas suburb of Plano. 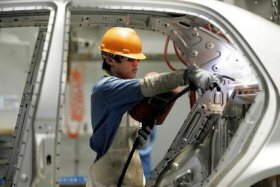 The Japanese automaker will also expand its technical center in Ann Arbor, Mich.; Toyota’s facility in Kentucky will also move over to Texas. About 4,000 employees will be impacted by the move, yet it’s too early to say how many of them will be moving to Texas. The formal announcement sounds grand – “to better serve customers and position Toyota for sustainable, long-term growth,” was the official company announcement. Unofficially, according to reports that began leaking out prior to the corporate announcement, it’s more about slashing expenses and moving away from California’s strict regulatory environment. While Tesla Motors will continue building luxury electric cars in Fremont, Calif., and its newly acquired idle-parts distribution center is located in rural California, its advanced battery project will be out of state. Tesla’s upcoming lithium battery plant, Gigafactory, will be opening up in Arizona, Texas, New Mexico, or Nevada. It’s anticipated to require about $5 billion in investments with partners and would generate about 6,500 manufacturing jobs. While cheaper land and hourly wages, and looser regulations, are probably playing their part, Tesla has another strategy: getting into markets where strict dealer franchise laws have blocked Tesla’s retail store growth strategy. Texas is very important for that reason, though one analyst thinks Nevada will be the winner. Nevada has a railroad line that connects directly to Tesla’s Fremont plant. Nevada is also rich in lithium pools, a big part of what goes into Tesla’s battery cells. Fisker Automotive will likely be finding an office elsewhere. As new parent company Wanxiang America, a unit of China’s largest auto parts supplier, has taken over, there’s word of Fisker leaving its headquarters office in Costa Mesa, Calif., and moving out of state. (See Big Picture for more details. California is not going away as an essential place to be for the auto industry. Engineering and design firms are based primarily in Southern California, and they play a key role in producing the next wave of new vehicles. In fact, Toyota’s design and racing units are expected to stay in Orange County. Some of the largest dealerships in the country are based in the state; and several alternative fuel providers (especially natural gas) have set up shop in California – with one of the principal reasons being state programs providing incentives. Fleets are very good customers, especially municipal fleets with dedication to clean transportation. The auto industry will continue to be an integral part of the US economy and job creation – especially given that most other manufacturing sectors have shut down or moved overseas. California will continue to be a vital part of the industry’s future, but the limitations are always a factor. The weather’s great and there’s always something fun to do (surfing, Disneyland, Hollywood Blvd., riding BART into the city, etc. ), but corporations are always looking into slashing costs and moving somewhere else. 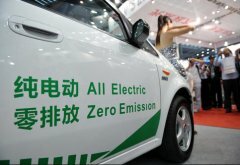 China must be a hot market to sell electric vehicles (EVS) in, with all the recent corporate announcements. The reality has been that sales have been soft, and the Chinese government continues to offer attractive incentives to get the “new energy” market rolling. It’s been enough for Tesla Motors to decide not just to sell its Model S in China, but to also build future models there. CEO Elon Musk thinks the company will have a production line up in three-to-four years. That goes along with its near-term future investment in a charging infrastructure, including superchargers going into Beijing and Shanghai. Daimler and BYD will start selling its joint venture DENZA electric car in September; it will be the first complete vehicle that Daimler has built with BYD outside of Germany. The five-seater EV will have 190 miles of range and pre-incentive pricing of $60,000. Volkswagen has an even bigger plan – to sell hundreds of thousands of EVs in the China market before the end of this decade – and will spend up to $27 billion in the next five years to do it. The ambitious campaign will start up this year with the launch of the VW electric Up! and e-Golf models in China. The BMW i3 electric car was given high honors at the New York International Auto Show – 2014’s World Green Car. It beat out the Audi A3 Sportback g-ton and Volkswagen XL1 and 11 other entrants. It comes at a time when BMW is finding strong demand in Europe while introducing it around the world. That demand has pushed for a higher production volume than originally expected. “From the production process onwards, the BMW i3 is a truly sustainable vehicle, created with the needs of the 21st century city in mind,” said Dr. Ian Robertson, Member of the Board of Management of BMW AG, Sales and Marketing BMW. The BMW Group also won the 2008 World Green Car award for the BMW 118d with Efficient Dynamics. Further evidence that the BMW i3 is getting a lot of buzz: Winning the top spot in Kelley Blue Book’s Top Ten Green Cars for this year. Major auto supplier Robert Bosch LLC is getting investigated by NHTSA after a 2013 Nissan Leaf drivers reported smoke emitting while charging the EV. NHTSA reported that a possible 50 chargers may overheat and result in fires. Bosch said that it’s reviewing the filing and will cooperate with NHTSA. The charger used, a Bosch Power Xpress 240V, had been charging for over an hour at 30 amps at a private residence when signs of overheating, including a “strong burning smell,” were noticed. The Keystone XL pipeline startup continues to get dragged out. The Obama administration delayed a final decision on the pipeline until an ongoing court challenge to its route in Nebraska is resolved. The controversial project will remain in limbo until after the November midterm elections. It has been a “hot potato” for the Obama administration. Navigant Research thinks that medium- and heavy-duty trucks running on natural gas will see a huge growth spurt soon – from 1.5 million on the roads this year to 3.7 million on 2022. Natural gas is crossing borders into several different market segments – now into motor oil. Pennzoil has added its Pennzoil Platinum with its PurePlus Technology; this patented process that converts pure natural gas into the first-of-its-kind, high quality full synthetic base oil. If you’re shopping for the best deals in cars or trucks, you’re probably visiting Kelley Blue Book, Edmunds.com, and Consumer Reports for the latest in reviewer and consumer ratings. You’re most likely looking for the sticker price, miles per gallon, safety ratings, incentives, engine size, interior spacing, and maybe a few other specifications. But what about alternative fuel vehicles? As I’ve spoken with members of the Green Auto Market stakeholder group during monthly conference calls, the topic usually comes up. What’s a federal or state incentive on a specific alternative fuel vehicle? How does it compare to other hybrids, EVs, etc.? What does the cost of ownership look like? In July 2014, LeSage Consulting will release its first-ever Green Vehicle Database with specifications, pricing, and incentive data on passenger and commercial vehicle offerings for the 2014 and 2015 model years. Vehicle types will include: Plug-in Electric Vehicles (Battery Electric Vehicles and Plug-in Hybrid/Extended Range Electric Vehicles); Hybrid Vehicles; Natural Gas Vehicles (Compressed Natural Gas Vehicles and Liquefied Natural Gas Vehicles); Propane Autogas Vehicles; Fuel Cell Electric Vehicles; Flex-Fuel Vehicles; and Fuel Efficient & Green Vehicles on clean diesel cars and the most fuel efficient gasoline engine models. Specifications will include: Make, Model, Model Year, Style, Engine/Motor, Battery Size, Transmission, Suspension, Curb Weight (passenger), GVWR (commercial), MSRP, Conversion Cost, MPG/MPGe; and Federal Tax Incentives and State Incentives. These categories may change as I get more feedback in the weeks ahead from stakeholders experienced in making vehicle acquisitions and analyzing a total cost of ownership forecast model. There are excellent resources out there that I’ll be accessing including the Clean Cities annual buyer’s guide. In the end, there’s always the automaker websites for specifications and agreed-upon standards such as EPA mileage ratings. The idea behind Green Vehicle Database is that alternative fuel vehicles are becoming a sizable presence in the auto industry; for vehicle buyers such as consumers, fleets, businesses, transportation companies, and government agencies – there’s a growing need for a comprehensive data source for reviewing, analyzing, and comparing the right information for making the best decision. How does this one sound? If you’re driving the new Volkswagen Passat turbocharged direct injection (TDI) sedan, you get 43 mpg on the highway, can travel 795 miles on one fueling, and it carries you with 140 horsepower and 236 lbs/ft of torque. The 2014 Passat TDI Clean Diesel starts at $26,675 (excluding taxes and destination charges), so it’s very price competitive with midsize gasoline engine cars that don’t get as good a mpg rating or driving range per fueling. The latest TV commercial for the Passat TDI emphasizes freedom from range anxiety – you can drive from Los Angeles to Philadelphia on just three stops for fuel – just a hop, skip, and a jump. Other midsize sedans need a lot more fuel stops, VW says – and you can receive a $1,000 fuel reward card on your purchase. It seems to be working – Volkswagen is leading sales for diesel passenger cars in the US. About 55% of diesel passenger cars sold in the US are the Volkswagen Passat and Jetta (with the Passat at 29%), and these two models are way ahead of any other diesel passenger car. “Cruise from A to B, not from A to filling station to B,” says VW’s website promoting clean diesel TDI. The Passat and Jetta are joined by the Jetta SportWagen, Golf, Beetle, Beetle Convertible, and Touareg in the VW clean diesel TDI family. VW’s Audi division currently offers five clean diesel TDI models – the A6, A7, A8 L, Q5, and Q7. For the 2015 model year, Audi is launching a new version of the Audi A3 TDI. At the New York Auto Show, the 2016 Audi A3 TDI Sportback was unveiled – bringing a station wagon to Audi’s TDI lineup. 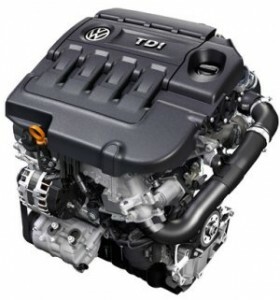 • TDI is a registered trademark for VW and Audi – turbocharged direct injection brings more power and efficiency to sedans and taps into what many American car owners admire about German automotive engineering. VW is focusing specifically on TDI clean diesel models of its cars that also come in gasoline-engine versions – and is counting on the concept to sink into consumer minds. • Clean diesel is considered by some people to be an alternative fuel – while it’s not as clean as electricity, natural gas, biodiesel, or propane – it is an alternative to gasoline. For car shoppers, buying a diesel engine car can be as big a switch as buying a hybrid or plug-in. It also helps that US fuel stations are only selling ultra-low sulfur diesel (ULSD) these days – adding more weight to the “clean diesel” identity. • You can find diesel just about anywhere at US gas stations. With the extended range on a fueling of a VW Passat and with fuel stations all over the map, range anxiety is relieved. (Diesel does cost more than gasoline, but the fact that they’re getting great mpg seems to be offsetting that price differential). • TDI Clean Diesel technology is part of VW’s Think Blue initiative, the automaker’s goal of creating and encouraging eco-conscious products and behaviors. While some people scoff at the idea of clean diesel actually being clean (especially when compared to electric vehicles), it does play into the drive for clean transportation – reducing emissions compared to gasoline engines on a mile-per-mile basis. General Motors would like to pick up steam on sales of its plug-in hybrid Chevrolet Volt. To get there, GM will be selling two versions of the redesigned 2016 Volt. One will be a lower-priced version with a smaller battery pack and shorter driving range. That will be carried overseas through GM’s Opel division in Europe. The next versions of the Volt will go into production in about 16 months at the automaker’s Detroit-Hamtramck plant. That plant will get a $384 million investment that will be aimed toward the Volt and a new flagship Cadillac sedan and a redesigned Buick LaCrosse. GM would like to reduce product cost and make the Volt more profitable, and expects to achieve necessary cost reductions in the 2016 model. The automaker would also like to see stronger sales results without investing so much on incentives. The Chevrolet brand reported selling just 58,158 units since the Volt was launched nearly 40 months ago. More bad news on the EV startup front: Smith Electric Vehicles, based on Kansas City, Mo., has temporarily stopped plant operations. The company is best known for its Smith electric delivery truck, and says that it’s not shutting down operations for good. CEO Bryan Hansel says manufacturing the vehicles has yet to become profitable; he says suppliers and investors have been informed that it’s a temporary shut down and is part of the company’s plan to scale up production and sell enough of them to turn a profit. Tesla Motors is setting up a new finance arm to entice companies to lease the Model S as one of their fleet vehicles. Small and medium-sized businesses will be able to calculate the leasing cost on Tesla’s website will offer them an attractive value proposition. The new Tesla Finance unit offers leases through partner banks with a guaranteed resale value. Tesla is also getting ready to start selling cars in China this month. Tesla CEO Elon Musk will be delivering a few of the first ones to customers. He’ll also be meeting with representatives from China Petroleum & Chemical (also known as Sinopec) this month about constructing charging units in the refiner’s nationwide network of service stations. The charging network is expected to start in Beijing and then roll out to surrounding areas. CleanFUEL USA has rolled out the propane autogas industry’s first complete fuel network management system for electronic dispensers. Using CleanFUEL eCONNECT, fleet managers can economically monitor and control fuel inventories faster and easier than ever before with real-time data insight, flexible report storage, and remote access capabilities. The Environmental Protection Agency may continue to be sympathetic to the biofuels industry; EPA Administrator Gina McCarthy recently spoke to the issue at North American Agricultural Journalists meeting in Washington DC. McCarthy expects the EPA’s final rule to be different than the proposed version released in late 2013. After reviewing more than 200,000 on the Renewable Fuel Standard proposal, EPA is looking more closely at the realities of the fuel market, with one of them being the realities of the fuel blend wall. The agency expense more legal challenges for any RFS standards. “We need to be able to justify it in court, McCarthy said. Tesla Motors has taken a swing at “lemon law king” attorney Vince Megna’s lawsuit against the electric vehicle maker. While insisting that it doesn’t believe in automotive “lemon laws,” the company says there are several good reasons to be skeptical about the lawsuit and denied some of the claims. Megna made a big splash on the internet with a Youtube video on behalf of client Dr. Robert Montgomery of Franklin, Wis.; Montgomery stated in the filing that he had a number of problems (such as a malfunctioning door handles) with his Tesla Model S that led to it being pulled of the road for 66 days. He wants Tesla to buy it back under a law that take affect after the vehicle is pulled off the road at least 30 days during its first year of life. The Sustainable Fleet Standard Program will be complimentary to existing federal programs, but also sets a standard by which fleets can assess their progress. The program has two purposes – to encourage and make it easy for fleets to take first steps toward clean transportation; while also setting a strong framework to reward those fleets already taking real action. Member organizations will be assisted in assessing their practices to decrease fuel dependence and emissions; and to increase vehicle efficiency, improve performance, and reduce harmful pollutants. In recent years, many fleets have been learning the win-win scenario clean transportation brings in reducing emissions and operating costs. The timing of this launch has been quite relevant. NAFA says that developing and launching this new program coincided with a speech given by President Barack Obama in February 2014 supporting a national vehicle sustainability initiative. “By applying this standard to fleets and vehicles of all sizes, NAFA is engineering a program that has the power to shift vehicle sustainability standards on a universal level,” NAFA’s press release says. You can also learn more and stay informed on the program as it approaches implementation, at NAFASustainable.org. 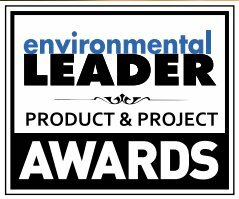 General Motors, Schneider Electric, and Waste Management were honored for sustainability initiatives in the second annual Environmental Leader Product & Project Awards. A panel of distinguished judges scored entrants in the competition based on excellence in energy and sustainability management. Click here to download the report. General Motors was honored for “Driving a Global Movement for Zero Waste,” through its global manufacturing sustainability campaign. It’s based on reducing landfill waste to zero, and from turning those scraps and waste materials into a revenue stream. In 2012, GM generated an estimated $1 billion in reuse and recycling revenue from its byproducts; the automaker eliminated 11 million metric tons of CO2-equivalent emissions. GM has also become known for its land-fill free production facilities with 108 of them now in place. The goal is to bring that number up to 125 by 2020. To accomplish its goals, GM uses a variety of methods including data collection and monitoring systems, employee and external engagement initiatives, and creative reuse and recycling. Results are reported monthly by GM plants, offering a company standard to benchmark against. GM has been sharing its strategies with members of its value chain and to the manufacturing industry. Schneider Electric, which plays a significant role in the electric vehicle charging infrastructure, and the Sustainable Apparel Coalition (SAC) were recognized for development of “Higg Index 2.0.” SAC’s index was first introduced 18 months ago; this new version brings in an online platform developed by Schneider Electric; it’s added the ability to share users’ sustainability data, increase accuracy, and add measurability for materials and processes. This brings greater transparency and accountability through the apparel industry’s supply chain. 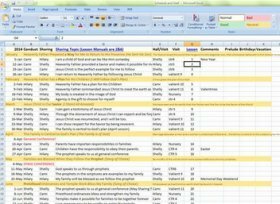 The companies say that Higg Index 2.0 adds to the 1.0 version by including new measurement data to help assess chemical and social impacts of products. Waste collection giant Waste Management was honored for what it brought to the Phoenix Open golf tournament. The PGA’s most highly attended golf tournament was turned into its most sustainable one. The company aimed to make the tournament a zero waste event by diverting all of its waste to recycling, composting or waste-to-energy. Along with using the renewable energy sources of wind, solar, and biomass, greywater to save water, 63% of the transportation vehicles used during the golf tournament were run on alternative fuels. Waste Management has more than 3,000 heavy-duty natural gas trucks in North American cities today; the company plans to ultimately convert its entire fleet of 18,000 collection vehicles over to natural gas and has more than 50 natural gas fueling stations in place. Sales of US plug-in electric vehicles were solid in March, with the Nissan Leaf seeing its best March ever. About 9,000 EVs were sold last month, versus about 6,900 in February – an increase of about one third. The Leaf had 2,507 units sold in March and 5,184 for the quarter; Nissan had a 12% increase in Leaf sales over March 2013. The Leaf was far ahead of the Chevrolet Volt in March and in the first quarter; General Motors reported that the Volt sold 1,478 in March and 3,296 in the first quarter. The March figure was exactly the same number of units sold in March 2013, and its best monthly sales figure since December 2013. Tesla doesn’t report its monthly sales figures, but it’s estimated to have been in the 1,200 to 1,300 range, down from February sales. The Toyota Prius Plug-in Hybrid came in right behind the Volt and likely ahead of the Model S at 1,452 sold in March. That was nearly double the 786 plug-in Priuses sold a year ago and its best monthly figure since October 2013. The Ford Fusion Energi and C-Max Energi both saw increases in March over the previous month and year, with the Fusion Energi selling 899 units and the C-Max Energi closing the month at 610 sold. Car shoppers in California will be sad to hear that they’ll have to wait a few months to get rebate checks – and if they’ve purchased a plug-in hybrid, they won’t receive a green carpool lane sticker (granting driver-only access to diamond lanes). Funds for the $2,500 rebate on battery electric vehicles and $1,500 for plug-in hybrids have run out. Funding for the state’s Clean Vehicle Rebate Project is expected to come back but probably not until late summer or early fall. Green HOV carpool lane stickers for plug-in hybrids ran out after 40,000 of them had been issued. 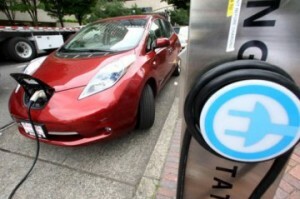 Battery electric vehicles will still be receiving carpool lane stickers. The school bus market has been where propane autogas has taken big steps forward in recent years, and there’s been another sizable purchase announcement – the nation’ largest single order of autogas-fueled buses by a single district. Broward County Public Schools (based in Ft. Lauderdale, Fla.), the nation’s sixth largest school district, purchased 98 alternative fuel school buses to lower its operating costs while improving the environment. The county expects a six-month return on investment for the additional cost of these alternative fuel buses; the county will be able to lock in an autogas fuel price at substantially less than the cost of diesel and expects to reduce maintenance costs due to propane’s clean-burning properties. Natural gas vehicles (NGVs) have passed a couple of milestones with fleets. Ryder System, Inc., has driven over 20 million miles with more than 500 liquefied natural gas and compressed natural gas vehicles in its fleet. The company reported that it replaced about 3.1 million gallons of diesel fuel with domestically produced natural gas and reduced more than 559,000 metric tons of carbon dioxide emissions. Waste Management is continuing its commitment to NGVs replacing diesel-fueled trucks; the garbage transport company expects to possibly convert its entire fleet over to compressed natural gas vehicles by next year. Tesla Motors and the Alliance of Automobile Manufacturers filed a petition with the National Highway Traffic Safety Administration seeking permission to replace side mirrors with cameras. Cameras could be mounted on the side, and they would be much smaller than typical side mirrors and placed just about anywhere on the vehicle. They would help aerodynamics and fuel economy. A few experts are very nervous about the safety ramifications. As for green vehicle conferences……Plug-In 2014 will be taking place at the San Jose Convention Center on July 28-30. Details will be coming out soon. As for ACT Expo 2014, check out the preview guide. Average fuel economy for new vehicles sold in the US is continuing to rise. It reached a new high in March at 25.4 mpg, according to researchers at the University of Michigan Transportation Research Institute. That number has been climbing steadily since the beginning of the year. BMW, Daimler, Honda, Hyundai, Toyota and several hydrogen and fuel cell supplier companies have agreed to deploy a total of 110 hydrogen fuel cell vehicles in several European locations including Copenhagen, London and Munich and develop new clusters of hydrogen refueling stations in a deal valued at $51.5 million. They are expected to be operational by 2015. California Air Resources Board has modified its zero emission vehicle credits for automakers, taking away some of the credits for Tesla Motors and other OEMs. Tesla sold credits worth $129.8 to other automakers last year in California; that was based on seven credits per car sold in the state, and it’s been dropped down to four credits per car sold. Zap and Jonway Auto have launched the “Urbee,” the smallest electric vehicle in their EV product line. The neighborhood electric vehicle is being marketed to aging populations in smaller cities and for utility government vehicles. Santa Rosa, Calif.-based Zap and its China-based Jonway Auto subsidiary unveiled the Urban EV at the Chinese Electric Motor Vehicle Exhibition in March. ParkMe, which provides parking information and reservations by mobile devices, is expanding its market beyond Planet Earth. The company announced that its reservation system will go into immediate effect at every one of the Earth’s extra-orbital docking stations, and it’s set to expand beyond Mars by summer. “With the launch of ParkMe’s new technology, the galactic community will never again worry about circling the galaxy looking for a space to park,” the company said. Editor’s note: This announcement was made on April Fool’s Day, so you might want to wait on booking your intergalactic travel reservation. 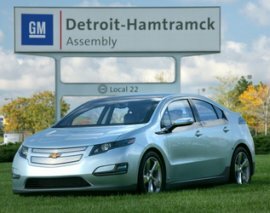 GM is expected to announce it will update its Detroit-Hamtramck assembly plant, spending $450 million and adding 1,400 new jobs. It’s tied into building a redesigned Chevrolet Volt that likely to launch in model year 2016.